General Dynamics Canada has been awarded a multi-million dollar contract to upgrade four SH-2G Super Seasprite helicopters with an integrated mission system to enhance the operational capability of the Peruvian Navy and its ability to meet the demands of modern maritime missions. 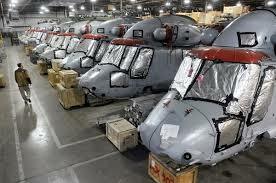 The contract, facilitated by the Canadian Commercial Corporation (CCC), the Government of Canada’s international government-to-government contracting organization, includes the acquisition of five helicopters by Peru. Four are for remanufacture and upgrade by General Dynamics Canada and the fifth one will be overhauled prior to delivery directly to Peru. The contract was awarded as a result of a Memorandum of Understanding between the Government of Peru, through the Peruvian Ministry of National Defense, and the Government of Canada, through CCC. Leveraging advanced sensor technologies, including General Dynamics’ world-class Sonobouy Acoustics and Stores Management systems, the Peruvian mission system will collect and deliver information to on-board operators through an easily configured management system, providing the situational awareness required to detect, track and engage targets in a wide range of missions and scenarios. General Dynamics Canada is negotiating with Kaman Aerospace, the Original Equipment Manufacturer of the SH-2G Super Seasprite aircraft to provide services related to this program. These services are expected to include the aircraft systems upgrade and installation of the General Dynamics Canada Mission System into the helicopter.